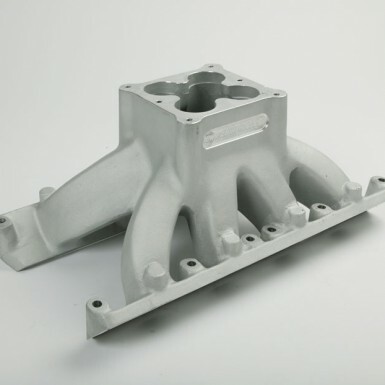 Cylinder Block Type Choose an optionWindsor 9.2"Windsor 9.5"
Best of all the 4.0” Commander Windsor intake manifolds are available with 4150 Holley, as well as 4500 Dominator flanges. That means no more spacers or specialized expensive welding and modifications are necessary, to make 4500 Dominator carburetors, fit Windsor motors. The all new 351 Windsor 4500 & 4150 Commander 4.0 Spider is the first true race only Windsor intake manifold developed specifically for maximum effort, raised runner, race style Windsor cylinder heads. The Commander 4.0 Spider Windsor Intake Manifold is designed for high rpm / large stroker based competition 351 Windsor Ford V8s with Windsor style cylinder heads making well over 700hp. With no less than 4.0” square inches of area at the plenum on the middle two runners, and 4.3” on the front and rear runners, the 4.0” Commander has the volume needed to make over 800 normally aspirated horsepower. Dyno testing by Kuntz & Co as well as McKeown Motorsports have shown the 4.0 Commander’s ability to produce over 800hp with not much more, than a port match. That’s over 2HP Per Cube from an as cast 4.0 Commander. To get this level of performance from comparable Windsor intake manifolds requires thousands of dollars of specialised porting. The 4.0 Commander is a “Spider” only type casting, and has no integral valley tray, but rather comes with a separate ¼” billet aluminium valley tray. The water on the 4.0 manifold exits from the front of the manifold flanges via the two front cast bosses (one each side at the front of the flange) that are each tapped with a 1/2 NPT thread for easy fitting selection and water routing. The Commander 4.0 is also designed to fit 9.2” as well as 9.5” deck 351 Windsor blocks, utilizing 4500 and 4150 Series carburettors with Windsor style heads. 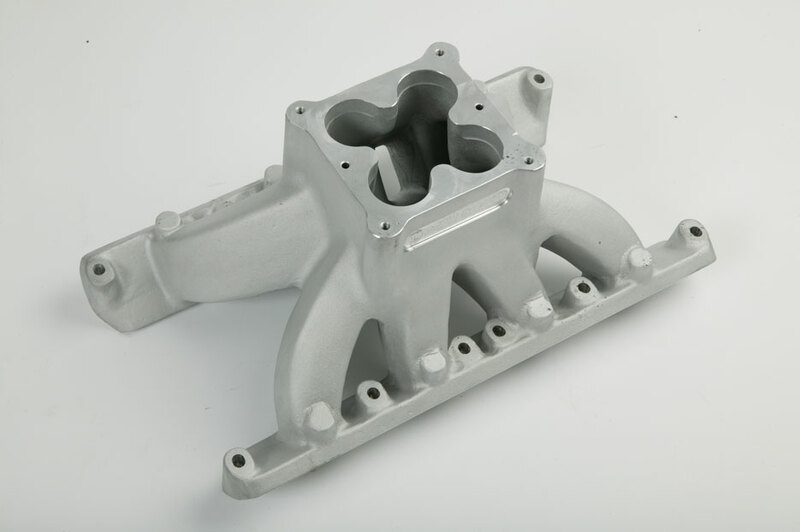 This manifold is also based on the successful 3V 4500 manifold used by Jon Kaase to win the 2004 Engine Masters Challenge, and by Tony Bischoff to take out the 2006 Engine Masters Trophy. We just took a well proven design and enlarged it to suit engines making over 700hp. 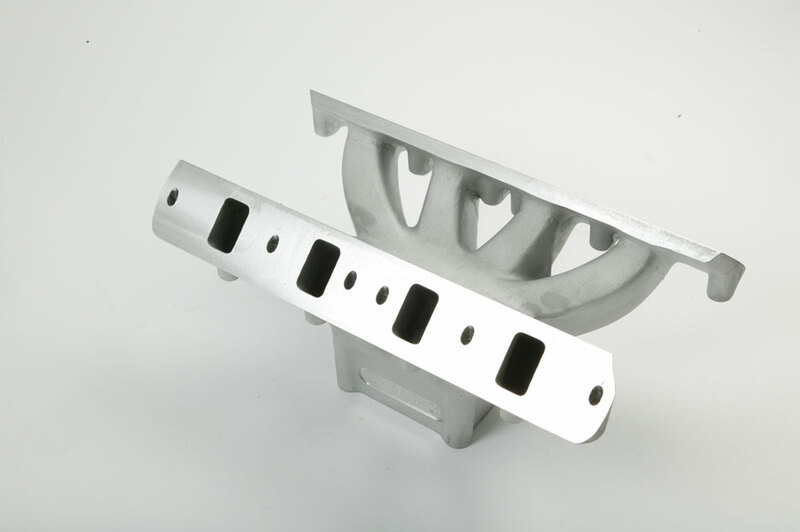 In order to further enhance its high end performance we have extended the front and rear runner dividers by 1.000”. This effectively evens the runner lengths whilst adding plenum volume. Our customers can now make serious horsepower to match the continually expanding range of race style Windsor heads, without having to spend thousands of dollars having manifolds ported to make huge power like professional engine builders. The Commander 4.0” Windsor Intake manifold is cast with fuel injector – nitrous bosses, making conversion to EFI and or direct port nitrous an easy option. 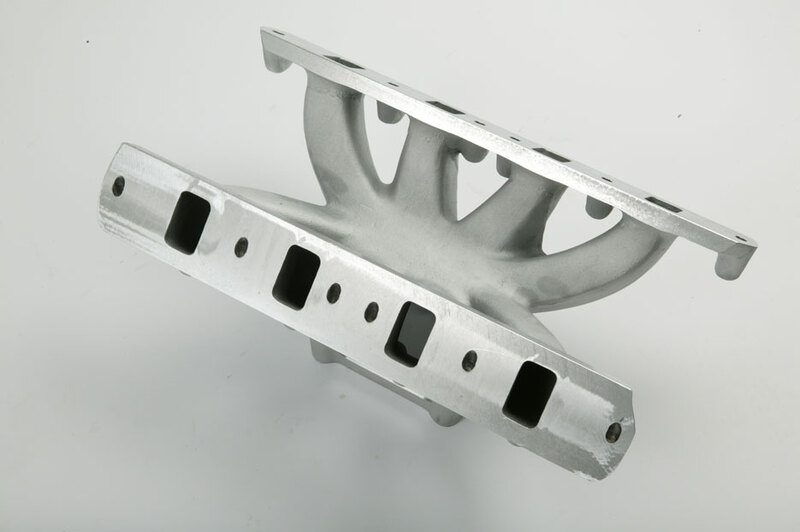 Intake ports at the manifold flange are designed to mate up to a Fel Pro intake gasket part # 1262. 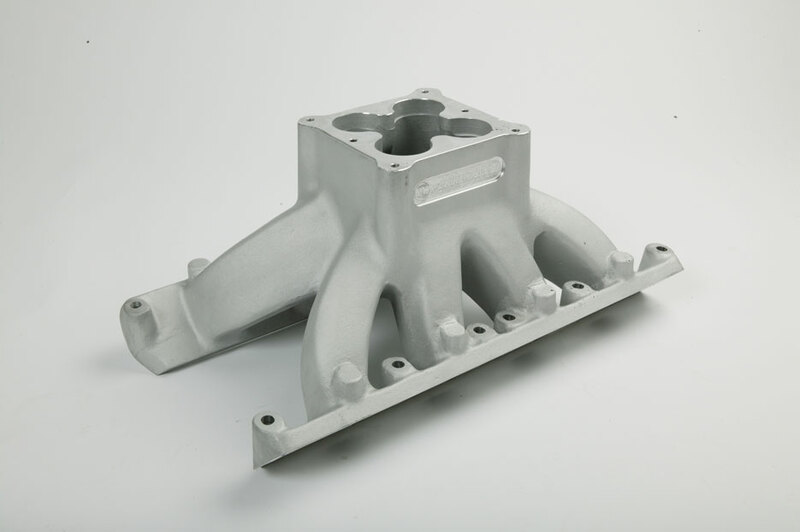 Just like all our manifolds the Commander 4.0 is heat treated.